Around lunchtime today in Brussels, the UK will cross the rubicon and take a definitive step toward ending 46 years of EU membership, a move which poses huge problems for Ireland. The last-minute bitter rows over Gibraltar - and that source of so many EU rows in the past: fish - must not obscure this hugely historic moment which will see the EU's second biggest economy part company with a trade bloc that it has had a belligerent but deep relationship with since January 1, 1973. Ireland and Denmark had followed the UK into what was then the European Economic Community as though both were attached by an umbilical cord of trade dependence upon their much larger neighbour. The erudite Sir John Kerr, a British diplomat who had a role in negotiating the mechanism which allows a member state to exit the EU, had a delightfully sardonic way of summing up the inevitability of last-minute rows ahead of the historic moment. "It is said that all EU treaty negotiations begin with high diplomacy, and end in a dirty row over fish," the then UK ambassador to the EU told a group of journalists including this writer. It has been a slow and difficult period since that dawn shock on June 24, 2016, when the EU's 500 million citizens learnt that UK voters had opted by 52pc to 48pc to leave the EU. The ensuing 12 months were a time of serious uncertainty with big question marks over the very existence of the EU which had a difficult 60th birthday in May 2017. But things have settled down considerably since then despite the increased support in many countries for Eurosceptic parties of the far left and right. 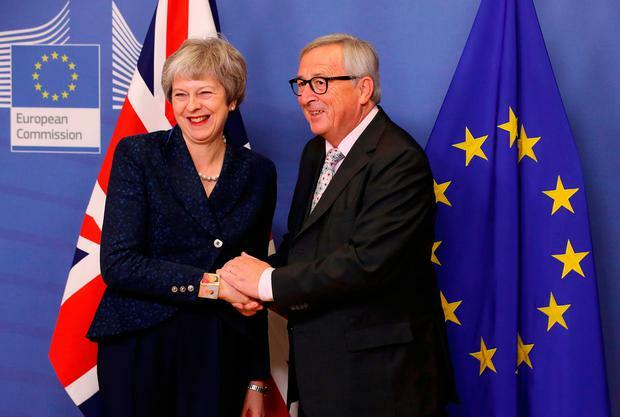 In Brexit talks with the UK, the residual EU 27 showed surprising unity of purpose which sharply contrasted with London's deep divisions and disarray. Britain's performance in the Brexit talks, which began on March 29, 2017, was very poor indeed and based on a miscalculation. "The British thought that ultimately countries would choose their economic interests over the grand principles of the EU. They thought that, in this way, they could break the unity of the 27," said Pierre Sellal, the former French ambassador to the European Union who was involved in the first phase of Brexit talks. Big problems persist within the remaining 27 EU member states. Italy, which becomes the EU's third largest economy after Brexit, is teetering financially and is led by a Eurosceptic government. Hard-right governments in Hungary, Poland and Austria have a series of rolling conflicts with Brussels. European Parliament elections next May may yet see big swings to anti-EU parties of the right and left. But it is undoubtedly clear by now that the EU has moved into a post-Brexit phase. The member states on mainland Europe have largely written off the UK and boxed off the Brexit talks as a largely administrative, if difficult, task which will be completed one way or another. The EU is working on other projects in a post-Brexit world. The final EU phase of Brexit takes place in January when the European Parliament is expected to endorse this draft deal. From now on, the real battle switches to the British parliament where Theresa May's numbers are very discouraging and threaten a smooth passage for this draft deal which a good outcome for Ireland in a very difficult situation. The Democratic Unionist Party, addressed by radical Brexiteer Boris Johnson in Belfast yesterday, is pumping up the volume for the bitter battle which is to come. Most Irish citizens' attention will be focused on London for the coming weeks. Today's doings in Brussels are largely symbolic but very momentous. The message for Ireland will be that Brexit is far more than dealing with considerable economic fallout. It is equally important to forge new and deeper relations with the EU while preserving links with our larger neighbouring island.